Prayer has been a part of my life for as long as I can remember. There have been times in my life when I was sure that God would answer my prayers, and other times when I've wondered if my prayers were even being heard. Yet, the Word says He hears and will answer our prayers. In Mark 11:24, Jesus speaks to his disciples about faith and believing in prayer. When we pray, do we truly believe He will answer our prayer? Do we believe enough to thank Him for the answer? 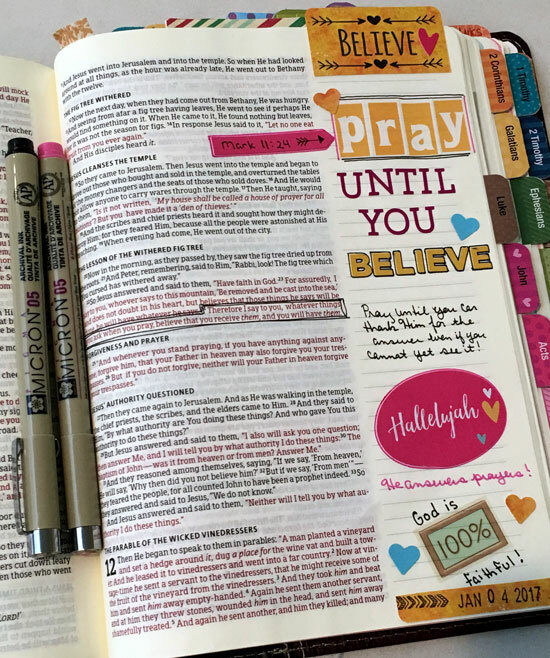 My devotional reading one day this past week encouraged us to pray until we believe. As I took time to meditate on this thought, I recorded it in my journaling Bible. Sometimes we see the answer to our prayer immediately, other times it takes much longer, and in some instances we will not see the answer in our lifetime. As I contemplated these ideas this week, I had the words to an old hymn running through my head (and I might have sang them out loud a few times, too). 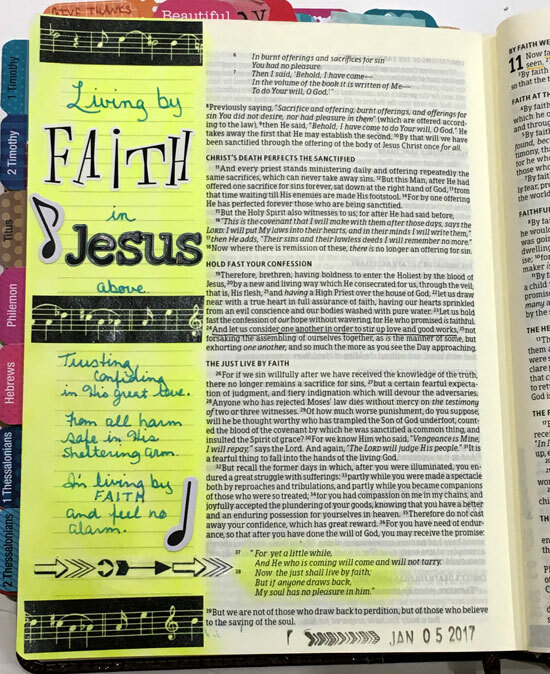 I used the words to that hymn in the margin of my journaling Bible next to Hebrews 10. I pray that your faith in the Lord will allow you to believe that He hears and will answer your prayers! I like that reminder - to pray until you believe, it is one I kept referring to last year when my word was believe.